Our Window Guarantee is no less than a full 20 Years! If you are in the market for new Windows, Doors, Bi-folding doors or Conservatories, you will probably be aware that the window guarantee period from most window companies will be 10 years. You are making a big investment when buying new windows and doors. At Cheam Windows you will have long term peace of mind. A ten year guarantee has been standard in the home improvement industry for a number of years now and is acknowledged the norm. 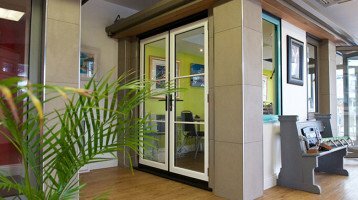 Customers have for a long time had the peace of mind that their new windows, doors, bifolding doors or conservatories will come with a long guarantee. And with all professional window companies insurance backed in someway. How do you feel about a ten year guarantee? Do you wish your investment in home improvement products could give you greater peace of mind? After all, you are investing your money in improving your home and home improvements are regarded as a major purchase. Are you improving to add value, as part of an extension or renovation project? Or simply to replace your old window with the latest energy efficient and highly secure products? Cheam Windows now offer a 20 Year Window Guarantee on all our products. Our company has been committed to providing only the very best home improvement products for nearly 25 years of consistent trading with no change of trading name. All our replacement windows and doors are products regarded as some of the best value and highest quality available. Such is our confidence in the quality of our products and the experience of our installation teams as well as all our staff, we now offer a 20 year guarantee. We are one of the first home improvement firms to do this. So what does the Cheam 20 year Guarantee mean for you? All products supplied and fitted by Cheam Windows carry a conditional Glass and Glazing Federation 10 year comprehensive insurance backed Guarantee. In Addtion to this, Cheam Windows guarantee our products for a further 10 years to give you a 20 year peace of mind home improvement solution. From a single window, to a complete project. So whether you are buying a single window, replacing a back door, putting brand new windows in your entire home or carrying out a renovation or build project, Cheam Windows offer you a 20 year guarantee on whatever you buy from us. Visit any one of our Showrooms in Banstead High Street, Hampton Court and Worcester Park, and one of our trained advisors will assist you further and explain how this unique and market leading initiative by Cheam Windows will benefit you.